The G-Rail system is a simple method of temporarily adding a lightweight 2nd decking system to maximum load fill. It is particulary useful with loose loads where stacking becomes impractical. The system comprises a number of vertical tracks combined with a number of horizontal, load supporting beams that can slide up and down to that ideal height. 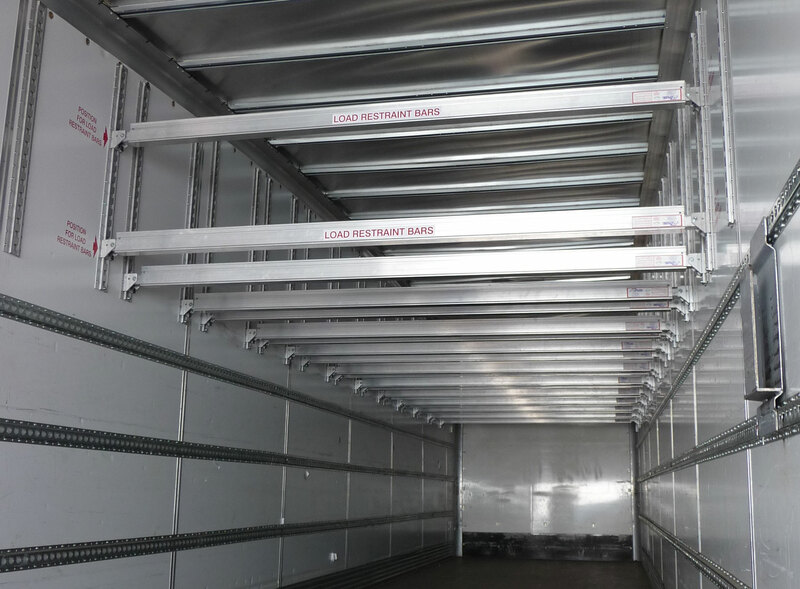 Depending on the track centres, it can be used to support pallets without any additional flooring panels.